A few years ago I sold a Kevin Paulsen to The Wharton School. I first saw his work at Kenise Barnes Fine Art in Larchmont. So it was great fun to discover his origins here in Nantucket while on vacation. 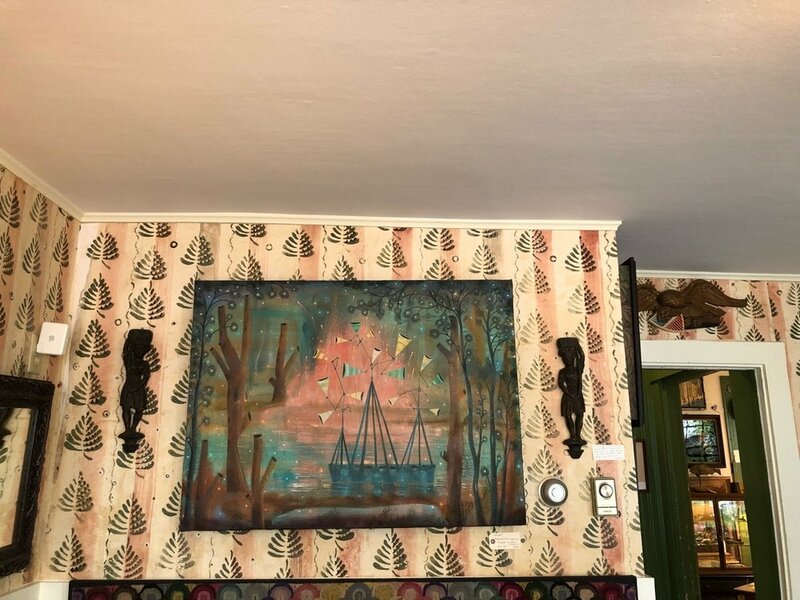 Both painting and wall paper by Paulsen. Check him out at The Antiques Depot when on the Island.